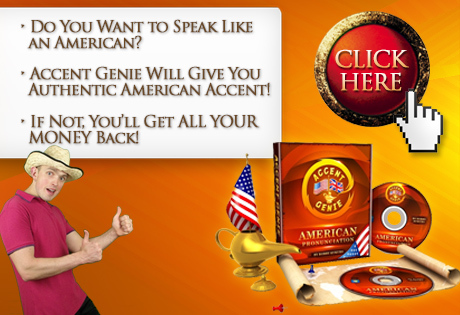 People believe that somehow they have to possess some sixth sense for English accent and pronunciation! I’ve also heard my fellow foreign English speakers say things like: “American and British? I don’t even hear any difference between these two English speakers!” which falls under the same category of statements. Surely picking up a native-like English speaker’s accent is very, very hard. Surely you’ve got to be really smart to pull off something like that. Surely you’ve got to be speaking with other English speakers who speak with that accent ALL THE TIME! Blaming Bad Ear for Accents is the Perfect Excuse for Inaction! I strongly believe that all the aforementioned statements is nothing more but a perfect excuse for inaction. Most people are ashamed of trying out new things, and when you make the first steps into sounding like a native English speaker coming from a specific geographic area, you’re simply bound to make an awful lot of mistakes. The heck, initially you probably won’t even be able to speak fluently with your target accent because you’d be paying your entire attention to HOW to pronounce words and sentences, and it requires a certain amount of perseverance and dedication! Unless it’s really required, most people won’t go the extra mile and make a lot of effort in order to change the way they speak, and that’s when blaming their inability to hear and distinguish English accents and pronunciation comes in really handy. I mean – if you try hard and fail, but you still keep trying to repeat a movie line, for example, just the way the actor delivered it in his New York accent, you’ve got do admit at some stage that you’ve failed at your initial attempts to replicate that kind of speech. Most people find that idea hard to bear, so they just simply back off and blame their lack of skill and ability to distinguish between General American and New York accents, for example. That way people make themselves feel better, and it’s perfectly understandable. And don’t get me wrong – the purpose of this article isn’t to knock people who’re afraid of trying to imitate native English speakers. All I’m trying to say is that nobody has a particularly bad ear for English accents and pronunciation to begin with. When we start off as English learners, we’re all on equal footing in terms of our abilities. You’ve Got to be Ignorant to Develop Your Ability to Distinguish Certain Things in Native English Speakers’ Speech! If you believe that you simply either have the ability to pick up English accents or you don’t, listen out to what I’m going to tell you now. Last year when I started my American English mission, I jumped straight into recording videos and publishing them onto my YouTube channel and this blog. When I listen to those videos now (here’s the first one I recorded), I can immediately spot dozens of mistakes I’m making when attempting to replicate native American English speakers. And similarly, I’m pretty sure there’s LOADS left to work upon even now that I’ve improved my American pronunciation significantly (you may want to check out this video). What would have happened if I cared about other people’s opinion? I wouldn’t have even tried recording any videos for the fear of being criticized, and I wouldn’t have made any progress on my American pronunciation whatsoever! Sure enough, I did receive some criticism, but I never really cared about it. I simply took any valuable advice on board and ignored the rest, and this kind of attitude enabled me to keep working on my American pronunciation and as a result I also developed my ability to hear and distinguish certain things in other people’s speech. 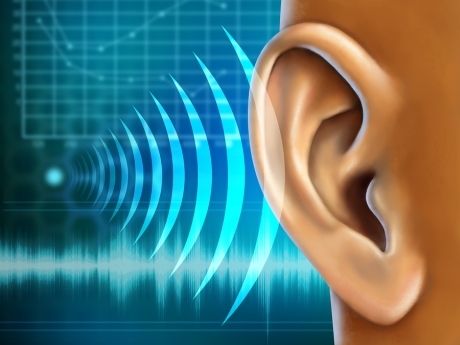 Good Ear for Accent and Pronunciation is an Acquired Skill! You may think that despite all I’m saying here, I still had some advantage when I started working on my American and British pronunciation. Well, believe me my dear fellow foreign English speaker – I didn’t! I simply LISTENED to native English speakers and tried to MIMIC what I was hearing. When I started off with my British accent mission (check out the video HERE) , for example, my British English was very, very bad. I just DIN’T HAVE THE EAR FOR IT. Then, slowly, gradually, I improved. I developed my ability to listen out and distinguish new features of the British pronunciation. The more I worked on my own pronunciation, the more new things I was able to spot in other people’s speech! And this, my friend, is the most important conclusion in the entire article. The more you work on your own accent, the better your ear for English accent and pronunciation becomes! It’s got nothing to do with some inherited ability or your intelligence. It’s got EVERYTHING to do with how hard you work on your English pronunciation, how willing you are to succeed and how careless you are when it comes to listening to people’s criticism. You simply IGNORE other people and start trying to work on your English accent and your ability to spot things in native English speakers’ speech will develop alongside! Just do some simple research and you’ll definitely realize that those folks who you believe just have the innate ability to replicate other people’s accents, have DEVELOPED their ability through ignorance and hard work. They weren’t born with it, and there’s not a reason in the world why YOU couldn’t achieve the same thing! Any questions – feel free to ask! Next post: Are You Shy, Embarrassed & Ashamed of Speaking in English with American or British Accent? Previous post: American English Pronunciation: “What’s The Matter With You”?